Some of the members of NGV Italy after the election. 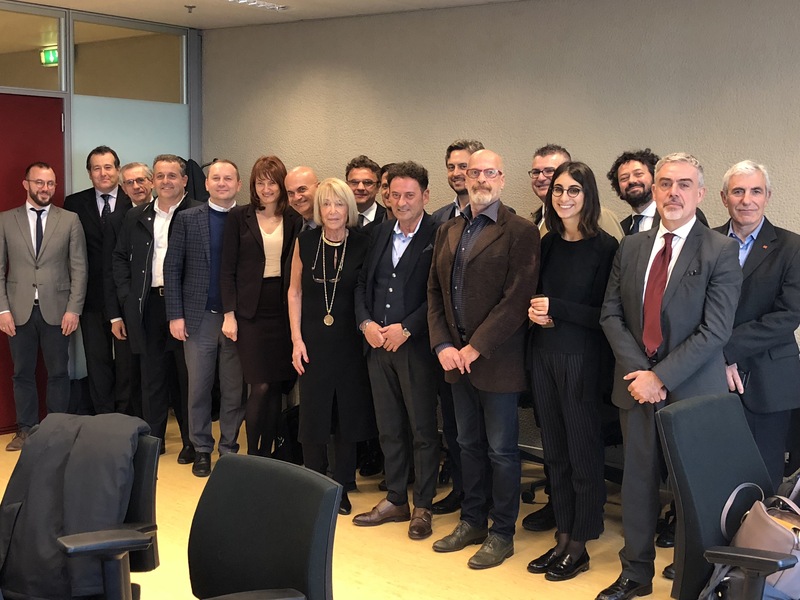 The new Board of Directors of NGV System Italia was elected by the Assembly of the members who met on 5 November at the Palace of the Lombardy Region. NGV Italy gathers the most important Italian companies operating in the methane, biomethane and hydrogen sectors, both in gaseous and liquid form, for road and maritime applications. The new Board of Directors, whose mandate lasts three years, then proceeded to elect a new President unanimously naming Mariarosa Baroni for the position, who thus begins its third consecutive term. In her inauguration speech, the President thanked the trust and esteem received, recalled the most important actions that NGV System Italia has developed in recent years and illustrated the challenges to be faced in the coming years. She stressed that the results obtained came as a result of the existing synergy between the BoD and the associated companies, finally asking for increased efforts in the immediate future. On the one hand, the current scenario offers opportunities to further affirm the multiple advantages of natural gas and its mixtures as a real and already accessible alternative fuel while, on the other, it forces to face tendentious and unjustified attacks based on inconsistent theories coming from a sector that is still in a stage of embryonic development. Finally, the reelected President remarked that the Italian leadership conquered during so many years of activity by Italian companies in the world must be sustained and reaffirmed, and that innovating and continuously developing new products for new markets is in the DNA of the industry.